Younger generations may not know it, but Hopkinsville has a rich history when it comes to America’s favorite pastime. 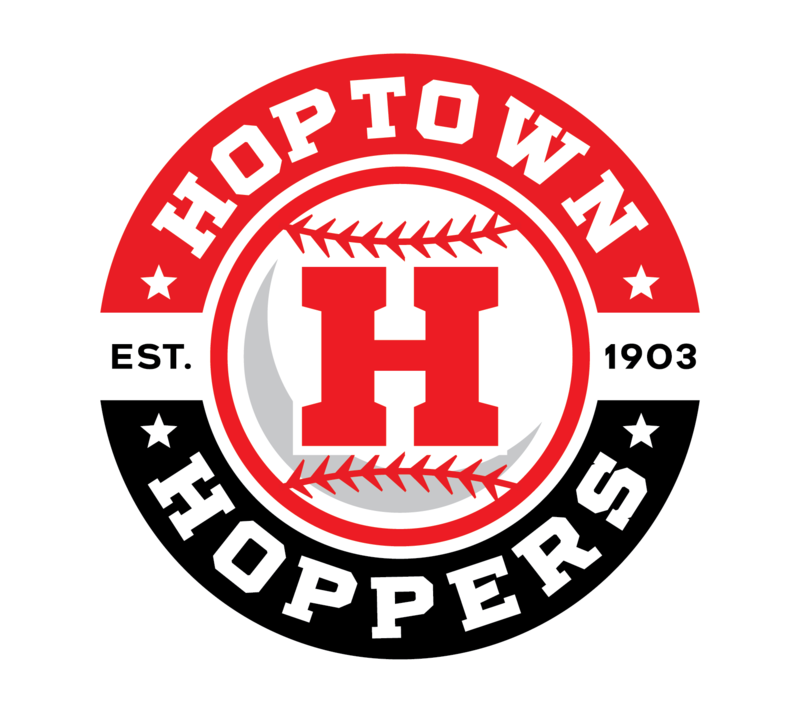 The Hoptown Hoppers borrowed their name from a minor league team that played decades ago in the now-disbanded “Kitty” League. Although the original Hoppers were a true “minor” league franchise, today’s Hoppers are part of the Ohio Valley League – a summer collegiate wood bat baseball league. Players come from their colleges and universities all across the country to sharpen their baseball skills during the OVL season. On and off from 1903 to 1955, the Kitty League brought minor league baseball to the area. The K-I-T League was affectionately named for the states — Kentucky, Illinois, Tennessee, and sometimes Indiana in the early 1900s — its teams called home. The teams carried unique monikers such as the Hoptown Hoppers, Mayfield Clothiers, Cairo Egyptians, Madisonville Miners and Owensboro Oilers. The league itself was often as quirky as the teams’ names. Many of the ballparks have changed, but places like Miller Field in Owensboro and Kentucky Park in Hopkinsville remain part of Kitty League and now OVL history. The Kitty League began when Dr. Frank Bassett, a Hopkinsville resident, traveled throughout the region in an effort to bring professional baseball to Kentucky. Even though he would eventually be ousted from his position as president of the league in 1937, he succeeded in his mission. What followed was 30 years of baseball that produced a legacy that continues to influence the game today. Several former Major Leaguer Baseball players even got their start in the Kitty League. By far, the most famous Hopper was Dusty Rhodes, who later became the hero of the 1954 World Series when he hit a pair of game-winning home runs for the New York Giants. Rhodes played for the Hoppers in 1947 before going on to play nine Major League seasons, finishing his career with a .254 batting average and 54 home runs in 476 games. In his one season with the Hoppers, he hit .236 with 19 doubles, nine triples and 12 homers to go with 18 stolen bases and 92 RBI. Rhodes is just one of many highlights for the Hoppers of old, who under the guidance of manager Red Smith won the league championship in 1938 with a 76-53 record. Other notable Hoppers players include outfielders Art “Whitey” Grangard and Bob Currier, first baseman William “Buster” Brown, and pitcher Victor “Deacon” Delmore, who once threw a ball at a rabbit that wandered onto the field in the middle of an at bat. Many people who have lived here their entire lives remember going to watch the Hoppers play. Pete Harbold, remembers suiting up for the Hoppers. He played for the 1953 team and then settled in Hopkinsville after the team folded in 1954. Talk about history, his grandson Lance Harbold is a past President of the current Hoptown Hoppers Board of Directors. The 2012 return of the Hoppers was a rare opportunity to reclaim a piece of Hopkinsville’s history that is truly local. The community responded by rewarding the team with the best attendance in the league, averaging more than 300 fans per game. 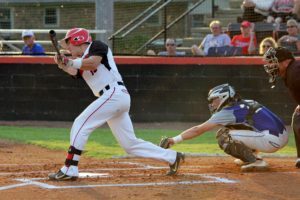 The new Hoppers, comprised of a few local players and a lot of young aspiring talents, played its first season at Christian County High School’s baseball field. 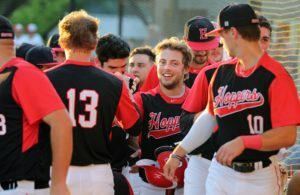 Not knowing what to expect – fans were excited as the 2012 Hoptown Hoppers claimed the Ohio Valley League’s regular season championship as well as the post season tournament championship. 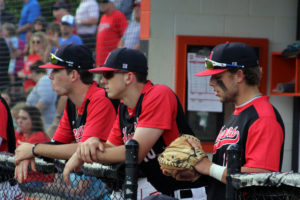 For their second season in 2013 the Hoppers relocated to Hopkinsville High School’s Tiger Field, and again claimed the OVL regular season championship, but fell just short of the post season championship, losing 2 games to 1 against Fulton. 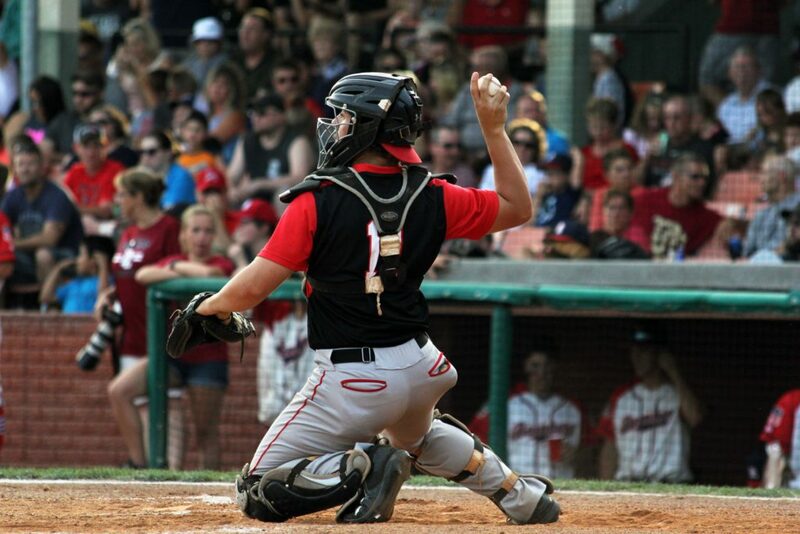 2014 became a season of change for the Hoptown Hoppers. They continued their yearly rotation by again playing their home games at Christian County High School’s Colonel Field. Expectations were quickly raised, as the Hoppers began the season with a 14 game winning streak. The remainder of the season did not go nearly as well, with the Hoppers ending the season in third place in the OVL standings. 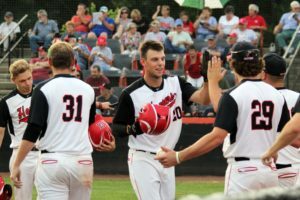 The Hoppers did make the championship series for the third straight season before falling to eventual champion Owensboro. return for a fourth season. Soon after, original General Manager Finney Noffsinger announced that she was also leaving the Hoppers organization due to family obligations. The 2014 season saw the beginning of the Hopper’s summer ‘intern’ program, with young men and women able to earn college credit while assisting with public relations, marketing and operations on and off the field. The Hoppers are proud to offer this experience as a part of the operation of their OVL franchise. 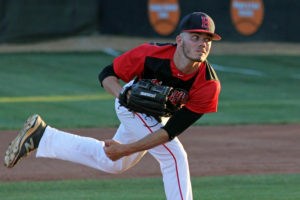 The Hoptown Hoppers Board of Directors moved quickly to hire Casey Dykes of Western Kentucky University to be their new coach. After several months recruiting and preparing for 2015, Casey accepted a new coaching position at VMI. The new position and increased responsibilities would not allow Casey to coach summer baseball. After a thorough search the Hoptown Hoppers announced Trey Porras, a Texas A&M Corpus Christi graduate assistant, as their new head coach. Trey played his college ball at New Mexico and played for the Florence (KY) Freedom, an independent minor league franchise. At the same time, the Hoppers announced that John Bruce, an Air Force veteran and area resident had been hired as General Manager. 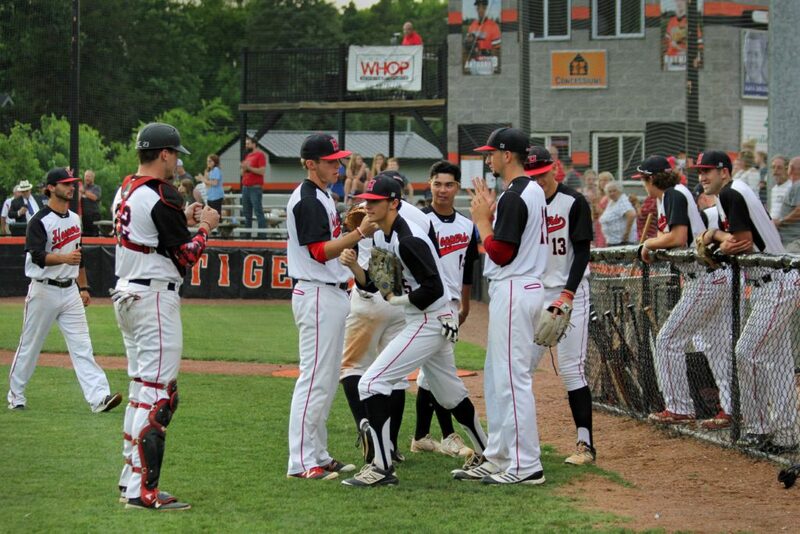 Back at Tiger Field, the 2015 season resulted in a middle–of-the-pack OVL finish for the Hoppers and a second round playoff exit after falling in walk-off fashion to eventual League Champs Dubois County in the deciding game of their playoff series. Coach Porras and GM Bruce returned for 2016, which also brought expansion to the OVL. The Paducah Chiefs and the Muhlenberg County Stallions joined the league, bringing the total to 7 teams. July 12, 2016 marked the date of the first OVL All-Star Game – played at historic Brooks Stadium in Paducah, another huge step for the OVL! The 2016 season was special for the Hoppers, as they celebrated “5 seasons of summer collegiate wood bat baseball in Hopkinsville”. The season culminated with a 5th Birthday Party celebration on July 21. On the field it was a banner year for the Hoppers. Playing again at Christian County High School’s Colonel Field, the Hoppers set a regular season OVL League record for victories and were looking forward to an equally dominant run through the playoffs, but Mother Nature intervened. It was already a wet summer, and the trend continued as heavy rain forced the cancellation of the OVL playoffs in order to meet the league mandated season completion date of August 1. While certainly a team effort, it must be noted that slugger Andrew Gross, a 1st baseman/DH from the University of Houston – Victoria, set 8 individual offensive OVL records, including highest batting average, most home runs and runs batted in a season. It was an offensive display that may never be touched! A new season brought some additional changes to the OVL. They welcomed the Henderson Flash to the league in late 2016, bringing the total to eight teams. This addition also resulted to dividing the OVL into 2 divisions for the first time. The “West” featuring the Hoppers, Chiefs, Railroaders and Miners, and the “East” featuring the Stallions, Flash, Oilers and Bombers. This also made the 2nd Annual OVL All-Star game, held at League Stadium in Huntingburg, Indiana a true east vs. west affair. The Hoppers hired David Weber, an assistant coach at nearby Austin Peay State University in Clarksville, as their coach for the 2017 Season. Due to a change in responsibility at APSU, Coach Weber was only able to coach the hoppers for the first month. After he resigned, assistant coach Keirce Kimbell was promoted and led the Hoppers through the remainder of the 2017 season, finishing as the Western Division Champions, but falling to the Dubois County Bombers in the championship playoff series. Although no official expansion for the OVL in 2018, there was a ‘new’ team in the League – the former Owensboro Oilers franchise was sold, and the new owners wasted no time in renaming the franchise the Owensboro RiverDawgs. A fresh start for one of the leagues founding members surely means a healthy dose of competiveness and competition on the field. Planning is well underway for 2018, with Brock Moss from Georgia Highlands College serving as the Hoppers new manager. Expectations are high for Coach Moss and his staff – hopefully returning an OVL Championship to Hopkinsville. As an organization, the Hoptown Hoppers take a great deal of pride in providing good clean family fun to all of Christian County and surrounding communities. Supporting the community with GREAT events like the “shirt-off-their-backs” charity jersey auction, fireworks shows, Military appreciation nights and more; taking great care of all of the young men that come to Hopkinsville from across the country; being great hosts when the player’s families and friends come to town to visit are goals the Hoppers organization strives for. If you would like to be part of the Hopper “family” track down General Manager John Bruce. From being a host family to helping with ticket sales and events, the Hoppers are always looking for good volunteers and new fans. That leaves us with only one thing to say: GO HOPPERS!